One of the best experiences I had during my time in Mumbai revolved around food. No prizes for guessing that as I have been saying this for a while now but although I have lived for almost a decade there I had the opportunity to eat the famous mawa cake just three or four times mostly when I was working there. I had this colleague who was also my ‘train-friend’, someone who travelled with me on the Mumbai local train on my way back from work. On most days we took the local together and on rare occasions we shared an auto rickshaw. On the days when we left office early (around 6 pm) we made sure we hopped over to Merwans, the quintessential Irani bakery on S.V Road, Andheri West (right outside the Andheri W station). My friend Shaili was the one who always stopped by this place to pick up snacks and I got to taste the very famous mawa cake on a few occasions. After that the visits kind of stopped as she got married and moved out of Mumbai and the luxury of leaving office earlier than 8 or 9 pm came to an end for me when I took up a new role. I had almost forgotten about these small cakes (almost the size of big cupcakes) till another friend bought me some when she visited home and we relished them together. I guess I didn’t ever consider making them at home as the process was tedious or so I believed till I actually made them. 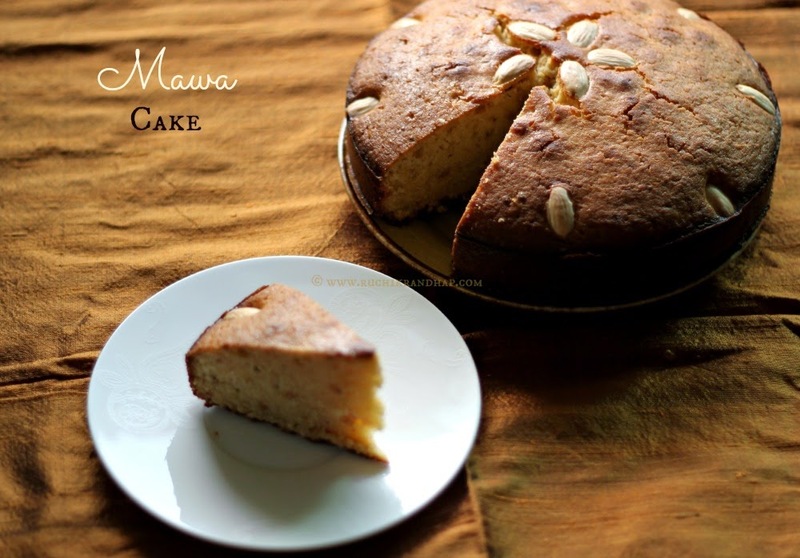 If you buy store bought mawa, then making the cake is a breeze. If you are inclined towards making the mawa at home then trust me, its the best decision you can make although the process is lengthy, I won’t deny that. You can be assured that the mawa is fresh and there is the joy of having accomplished a great feat. Well, let me tell you that I made the mawa in order to make gulab jamoons from scratch. I have always prepared them using ready mixes like MTR or Gits but since I keep seeing people making gulab jamoons using home made mawa I was tempted to try my hand at it. 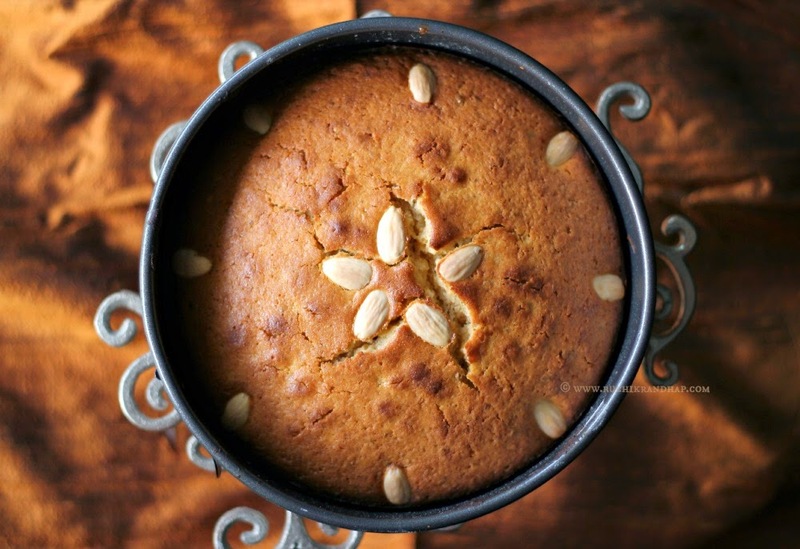 While I am yet to perfect them, I decided to use the rest of the mawa to make this deliciously rich mawa cake that has such a heritage behind it. 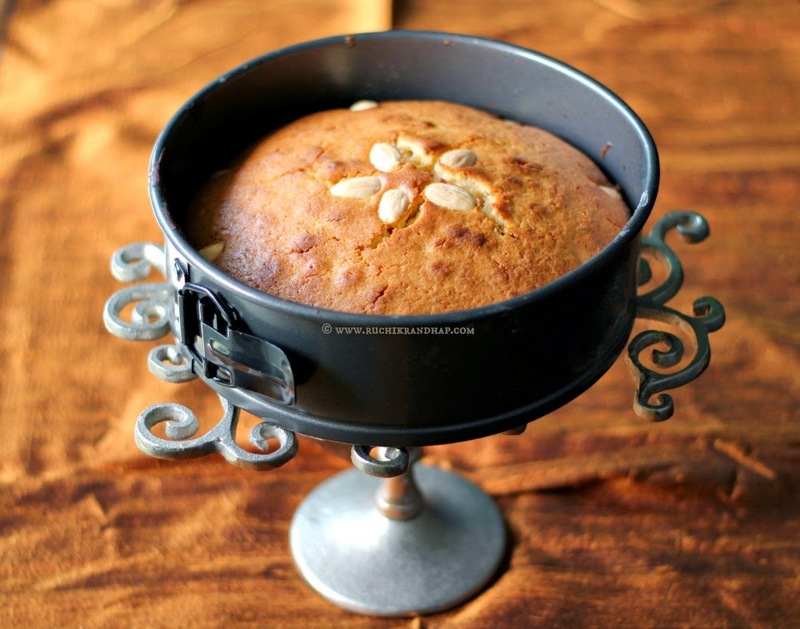 I Googled for a recipe and came across this lovely blog called Cakes and More dedicated to cakes and bakes by Suma Rowjee. Suma’s blog is an ode to baking. Whether you are an expert baker, a beginner or simply clueless about baking this website is a treasure trove of great recipes, tips and suggestions on how you can bake like a pro in the comfort of your own home! So do check it out! For those of you who have only heard about ‘mawa’ it is nothing but a mass of milk solids that is arrived at by cooking milk over a low heat until the moisture evaporates and reduces to almost a quarter of the original volume that you started off with. This long procedure results in a deliciously thick and crumbly mixture that is used in the preparation of many Indian sweets such as gulab jamoons, pedas, kalakand, laddoos, barfi etc. Sadly I didn’t take any step by step pictures of the process of making mawa as I started off with the job late in the evening and wound up pretty late. Once cooled it went straight into the fridge only to be used a couple of days later. I was very happy that I could recreate the memory of having eaten this cake in Mumbai albeit a few times. The subtle hint of cardamom adds a charm of its own and makes it so ‘Indian’ in its own way. 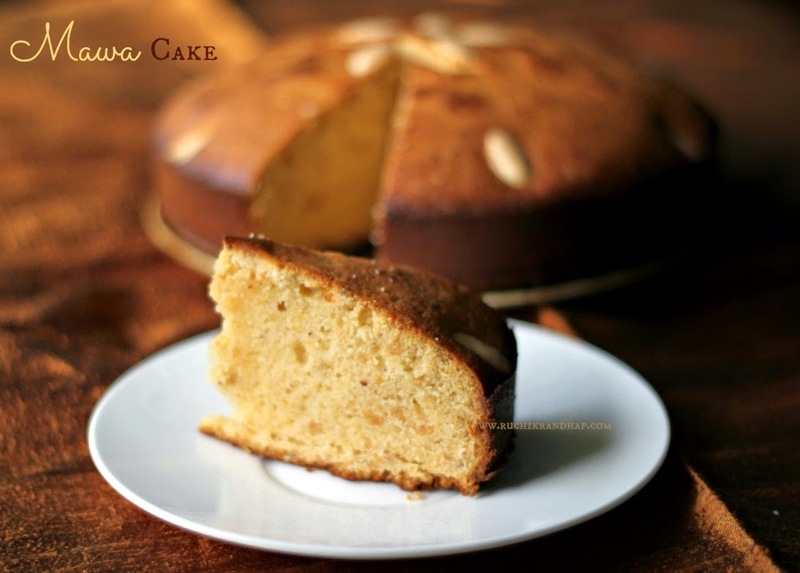 It is the perfect cake that I would have along with my chai – plain or with spices (masala chai). 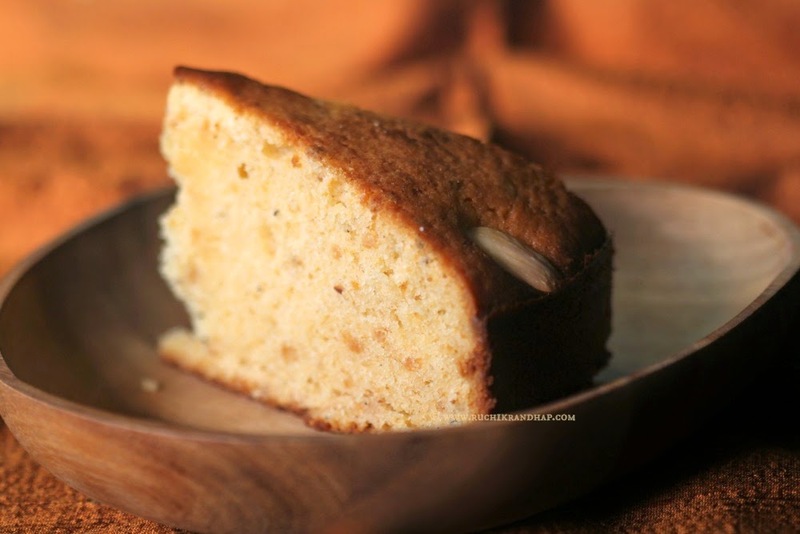 You could compare the texture of this cake to be almost like butter cake but the mawa cake has a slightly more dense texture and an after taste that is reminiscent of condensed milk or peda perhaps. 1. Place the milk in a heavy based saucepan or non stick kadhai and bring it to a boil, reduce the heat and continue to cook the milk until it reduces to just about a quarter of the original volume. Do take care to see that the milk does not get scorched/stick to the bottom of the pan so keep stirring every now and then. Scrape down the milk from the sides of the pan as it thickens. When the milk reduces to almost half in volume you will need to be extra cautious as it can burn quickly, so maintain the heat to a medium. The whole process will take a little over an hour. 2. When you see the milk reduced to a thick, lumpy paste continue to cook a little longer until the extra moisture evaporates and the mixture leaves the sides of the pan – the mawa needs to be moist yet dryish (not too dry as it will turn very crumbly). Remove from heat and allow to cool completely. Place it in an airtight container and refrigerate it for upto 2 days. Bring it to room temperature before using it. 1. Sift the flour, baking powder, salt and cardamom powder a couple of times and keep it aside. 2. Preheat the oven at 175 degrees C. Grease and line the bottom of an 8 inch (20cm) spring form pan / pan with a loose bottom with parchment. 3. In a large bowl beat the butter, sugar and the crumbled mawa (at room temperature) till it is well incorporated. 4. Add one egg at a time beating it well between each addition. Pour in the vanilla and the milk and beat well. 5. Add the sifted flour mixture in parts and mix using a spatula until all the flour is mixed well. 6. Pour the batter into the prepared cake tin. 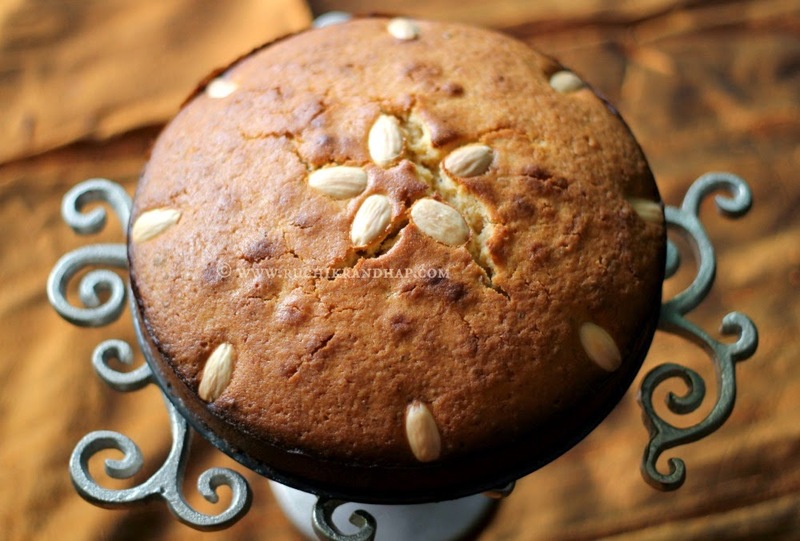 If desired decorate the surface of the cake with almonds/cashew nuts, don’t press them into the batter or they may sink. Bake in the preheated oven for about 55-60 minutes or until a skewer inserted comes out clean. It is ok if the surface has a light golden colour, if you over bake it, it may turn out too dry. 7. Remove the pan from the oven and place it on a wire rack to cook for 10-15 minutes, then carefully release the cake onto the rack, peel off the parchment and allow the cake to cool completely. 8. Cut, serve and enjoy with a cup of tea! Cake flour is different from your regular all purpose flour (maida) – it results in cakes that are lighter in texture. To make 1 cup cake flour, place 2 tablespoons of cornstarch (cornflour) into your measuring cup (1 cup = 237 ml) and then sift maida into the cup and level it off using a knife. For this recipe you need 2 cups cake flour, so measure accordingly. we share the same passion – I love mawa cake and Merwans is my favorite cake shop. can I substitute mawa with ricotta cheese? Curious to know if I can substitute Ricotta Cheese instead of Mawa for this recipe. Simply awesome and delicious looking cake. Wonderfully prepared. Beautiful cake and love to hear the mumbai memories takes me back too!